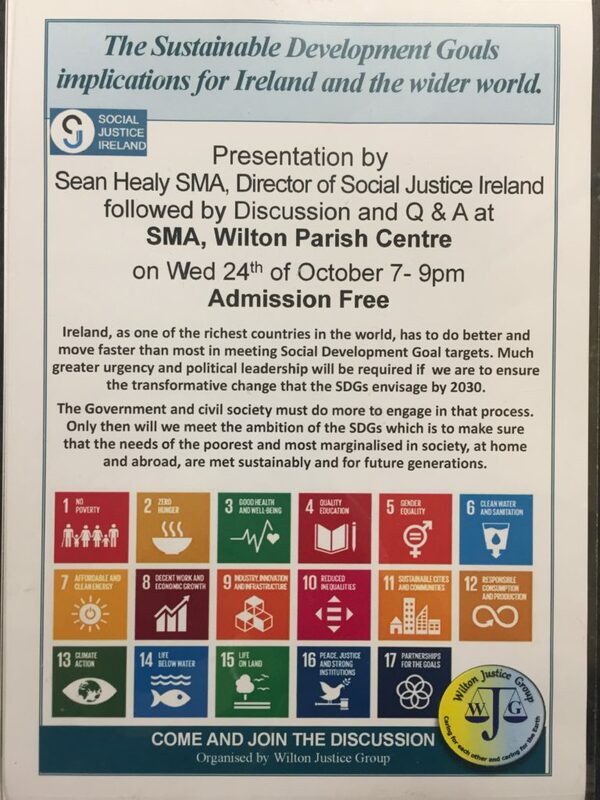 Fr Sean Healy SMA, the founder/director of Social Justice Ireland, will lead a discussion on the United Nations Sustainable Development Goals (SDGs) at SMA Wilton Parish Centre on Wednesday, 24 October 2018, 7pm – 9pm. Admission is Free. 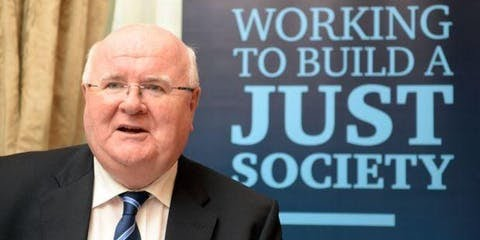 Fr Healy is uniquely positioned to offer his perceptive insights into what has been achieved and still needs to be done if the SDGs are to be realised by 2030. In May 2017, the SMA missionary was invited to the United Nations Headquarters, New York, to present a paper at a four-day Expert Group Meeting which addressed the theme: “Strategies for Eradicating Poverty to Achieve Sustainable Development for All”. Implications for Ireland and the wider world”. As one of the richest countries in the world, Fr. Sean will argue that Ireland has to do better and move faster to meet our responsibilities towards Social Development Targets. 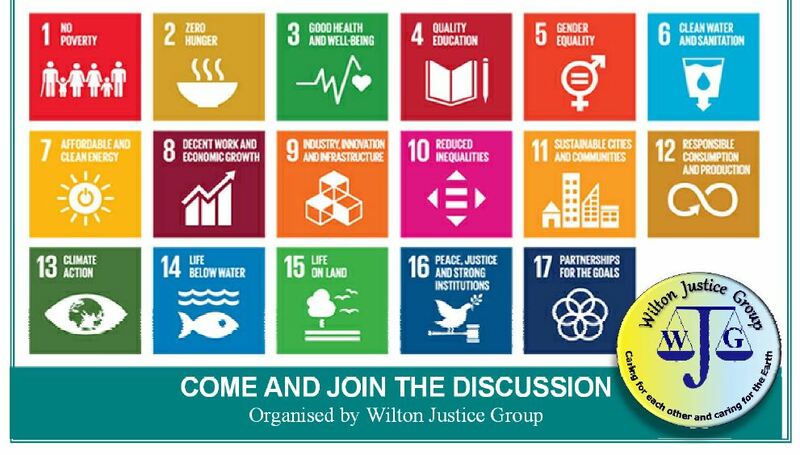 To achieve this, greater political leadership and dialogue with Civil Society is urgently required if we are to realise the transformative change envisaged by 2030. Details of Fr. Sean’s Lecture are given below. If you wish to print a copy of the poster to display on your community or office noticeboard, please click here.